Nue Science’s™ Age Defense Moisturizer with SPF 20 claims to provide rapid results by hydrating the skin from the surface. 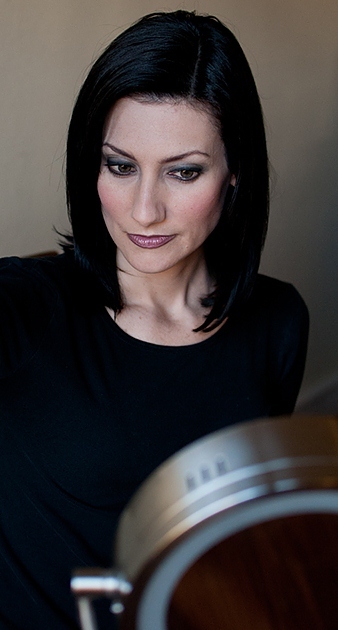 The broad spectrum sun protection shields the skin from both UVA and UVB damage. It relieves dehydration and will cause the skin to feel and appear instantly refreshed. Apply a pea sized amount in a circular motion. Use day and night. Click on the image below to view the moisturizer ingredients. The Age Defense Moisturizer in the Nue Science set was a disappointment. It was not hydrating enough for my skin and certainly did not give me “instantaneously younger-looking skin”. The texture was pasty and thick. It had a very medicinal scent, which I did not like. It left a powder residue on my skin. This moisturizer may provide effective sun protection, but that was the only redeeming quality about it. I stopped using this after a few tries because it was not an effective moisturizer for me. 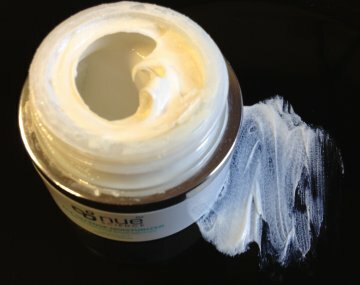 The main drawbacks with the Nue Science Age Defense Moisturizer, as well as other Nue Science products, are that the products are only available online and that once a customer orders the product(s), they are automatically shipped and charged for the product(s) every month, unless the customer cancels within a certain time frame. But, I could not see where this was clearly stated anywhere on the Nue Science website. hydrating moisturizer. The reason for the low rating is because the product did not do all that it claimed and customers need to be cautious of the automatic shipping and charges that will follow with this product. You can order a free trial starter kit from Nue Science. Simply pay the shipping costs. CAUTION: When you order the free starter kit the company will automatically ship and charge you for product(s) every month, unless you cancel your membership within a certain time frame. The Nue Science website and product literature states that their Age Repair Serum will yield glowing and younger-looking skin, and that the serum is proven to reduce the density, depth and volume of wrinkles by boosting collagen and elastin production, plumping skin from deep within the dermal layer. It promotes cellular renewal and fills in fine lines at the surface, and protects and repairs the skin from free radical damage. Apply one to two pumps to fine lines, wrinkles, & large pores on your face and neck twice a day. Allow to dry for best results, apply after Nue Science™ Firming Toner and follow with Nue Science™ Age Defense Moisturizer. Click on the image below to view the serum ingredients. Nue Science’s Age Repair Serum is costly, but it works! My wrinkles and fine lines were not as deep after using this serum. I am also happy to report that several small bumps, which have been on my face for years, actually went down and could hardly be seen with use of the serum. I was so pleased with this product that I was sad when I finished the trial sample. I scraped every last drop of it out of the bottle so none of it was wasted. Why does the serum work? It contains 5% Matrixyl 3000 and 1% Coenzyme Q10 (CoQ10). Matrixyl 3000 is an anti-aging product containing peptides that are able to regulate cell activity to restore and maintain the skin’s youthful appearance. CoQ10, which is a fat-soluble vitamin-like substance present in every cell of the human body, is vital to the production of energy within cells. The human body makes CoQ10 on its own. However, the amount of CoQ10 our body produces is low when we are very young, it reaches its peak in our young adulthood and starts to decline after age 20, even though our body’s demand for it increases. When applied topically, CoQ10 can penetrate the cell layers of the skin and may reduce the depth of wrinkles due to photo aging. 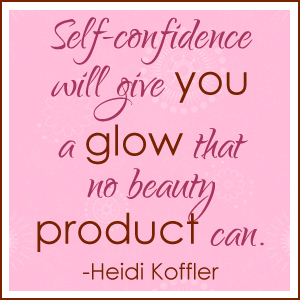 It has also been shown to protect certain types of skin cells from oxidative DNA damage induced by ultraviolet light. The main drawbacks with the Nue Science Age Repair Serum, as well as other Nue Science products, are that the products are only available online and that once a customer orders the product(s), they are automatically shipped and charged for the product(s) every month, unless the customer cancels within a certain time frame. But, I could not see where this was clearly stated anywhere on the Nue Science website. The Nue Science Age Repair Serum works and is recommended by Pretty Proof, but I could not give this product 5 stars due to the drawbacks I mentioned above in my review. If you do order from Nue Science, please be cautious of the automatic shipping and charges that will follow with this product. Nue Science’s Cell Revival Firming Toner is supposed to deliver immediate skin soothing and hydrating benefits, restore fullness to the face, calm the skin’s surface, and ward off blemishes. After cleansing skin, close eyes and spray toner directly on the face. Do not rinse off, allow to air dry for five minutes. Toner can also be used in the morning, evening and throughout the day. Click on the image below to view the toner ingredients. 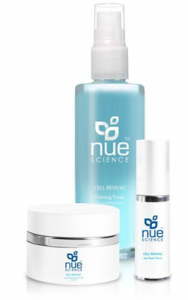 At just under $30 a bottle, Nue Science’s Cell Revival Firming Toner is on the pricey side. I tried spraying this toner on my face while closing my eyes, but I actually preferred to spray it on a cotton ball and apply it to my face. I used it both morning and night, as directed. The toner was non-irritating and a good precursor to the serum. As far as warding off blemishes, it didn’t live up to that claim, nor did the toner brighten my skin. The main drawbacks with the Nue Science Cell Revival Firming Toner, as well as other Nue Science products, are that the products are only available online and that once a customer orders the product(s), they are automatically shipped and charged for the product(s) every month, unless the customer cancels within a certain time frame. But, I could not see where this was clearly stated anywhere on the Nue Science website. I think more claims were made than necessary to promote a toning product, but despite that I would recommend this product to those who are willing to pay the high price and/or are going to purchase the complete Nue Science set. The reason for the low rating is because the product did not do all that it claimed and customers need to be cautious of the automatic shipping and charges that will follow with this product.